The Forum to Care for Papua’s Natural Resources has stated its clear opposition to ConocoPhillips commencing operations in West Papua. In a press release issued in Yogyakarta, 31 August 2013 the forum explained various past, present and potential future impacts that arise when giant corporations move in and start operations anywhere in the land of Papua. If ConocoPhillips moves in, they say, this will only aggravate symptoms of social breakdown and environmental damage, as such corporations are only interested in their own profits, and do not care about the environment and Papuan indigenous people. As with other corporations in Papua, they claim that ConocoPhillips will only destroy the land which was used for extraction, destroy agricultural land, convert forest into an industrial area and reducing the land available for hunting and gathering peoples. In the long term, mining (including oil and gas exploitation) is a main contributor to turning land into wasteland, which is then almost impossible to restore. 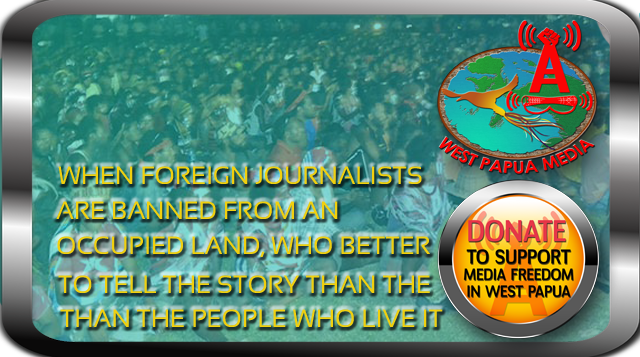 According to the forum, mining in West Papua has caused land, water and air pollution such as dust, poisonous gases and noise. Coastal fish enclosures and coral reefs have been destroyed, floods and landslides have wiped out biodiversity. Acidic water flows into rivers and eventually to the sea, where it has destroyed coastal and marine ecosystems and resources. Mining causes various health problems, and local infrastructure such as roads are severely damaged. Mining also means new migrants move in to the area, either working for the company or starting their own business in the mining area. They also say that mining creates symptoms of social distress such as prostitution, strong alcohol, gambling, and billiards. Land conflicts can occur, bringing with them a shift in socio-cultural values. Food sources such as forest gardens are polluted or damaged, meaning harvests fail. These are just some examples of the complex problems which the Papuan people in general suffer. ConocoPhillips, according to data collected by the Forum to Care for Papua’s Natural Resources, is the third biggest US integrated energy company after Exxon and Shell based on market capitalisation and reserves. It operates in the oil and gas sector and is the USA’s second largest refiner, the fourth biggest globally. ConocoPhillips has the fifth largest oil and gas reserves in the world. The company is known worldwide for its technological expertise in deep-sea exploration and production, reservoir management and exploitation, 3D seismic technology, high-grade petroleum coke upgrading and sulphur removal. Operating in more than 40 countries, the company has around 38,300 employees worldwide and assets worth 164 billion US dollars. The company has four main activities around the world: Oil exploration and production; Refining, oil marketing, supply and transport; collecting processing and marketing natural gas; production and distribution of chemicals and plastics. Since the report is somewhat short on details on ConocoPhillips’ actual plans in Papua, here’s a short article published by news website tempo.co in March with some more background information. In July the company reiterated its plans to carry out seismic testing in Boven Digoel and Pegunungan Bintang in 2014. TEMPO.CO, Jakarta – The government will reimburse the standstill period of the exploration in Block Warim, Papua, to oil and gas company Conoco Phillips. The block, a sharing contract for which was signed in 1987, had not been worked on since 1997 because most of the area has been used as Lorentz National Park. 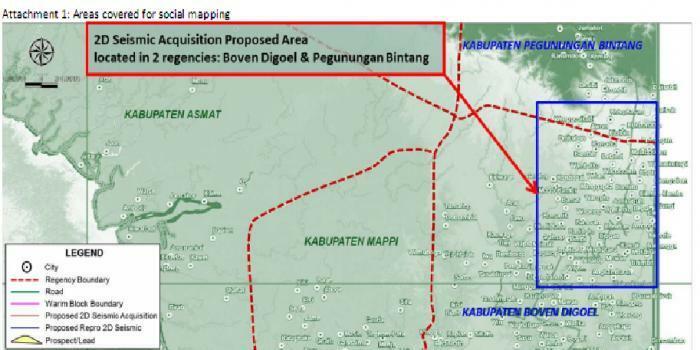 Head of public relations at the Upstream Oil and Gas Special Task Force (SKK Migas) Elan Biantoro said the Warim block has about 14,000 square kilometers left, some 30 percent of the block’s original size. Other than being used as a national park, some areas in the block were returned to the state because no reserves were found there. “This block has actually been explored; the initial commitment has been fulfilled and wells have been drilled. After the contract revision is signed, seismic studies may be done this year or next year,” Elan said. He added that the Warim Block is believed to have considerable amount of hydrocarbon potential. Other oil and gas contractors, he said, are developing areas near the block. “Around (Block Warim) there are plenty of oil and gas blocks owned by Exxon Mobil,” he said.